The builder, William D. Lawrence, was the owner and operator of a modest Canadian shipping company. While it was a profitable operation in its day, skeptics wondered why Lawrence wanted to invest all of his wealth to build such a large ship. His answer was that a large ship would be more profitable than two smaller ones. The truth of the matter, however, appeared to be that Lawrence simply wanted to go down in marine history for having done something unique. He personally took the ship on a maiden voyage around the world, and claimed the ship paid for it-self as a cargo carrier within three years. 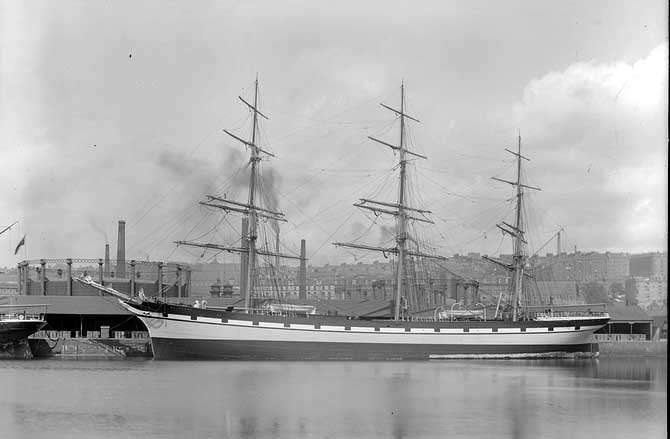 The Lawrence was sold to Norwegian owners in 1884. It was given a new name; the Kommander Svend Foyn. The vessel was converted for operation as a barge after it stranded in the English Channel in 1891. The barge sank while in tow off Dakar, Africa, 20 years after it was launched.